The sun is warm today – and bright. The daylight will linger a little longer. And in the northern hemisphere, winter is releasing its grip – ever so slowly. The woodland floor is still a matted-down carpet of brown, dead leaves, and the roads and paths are deep in brown mud. 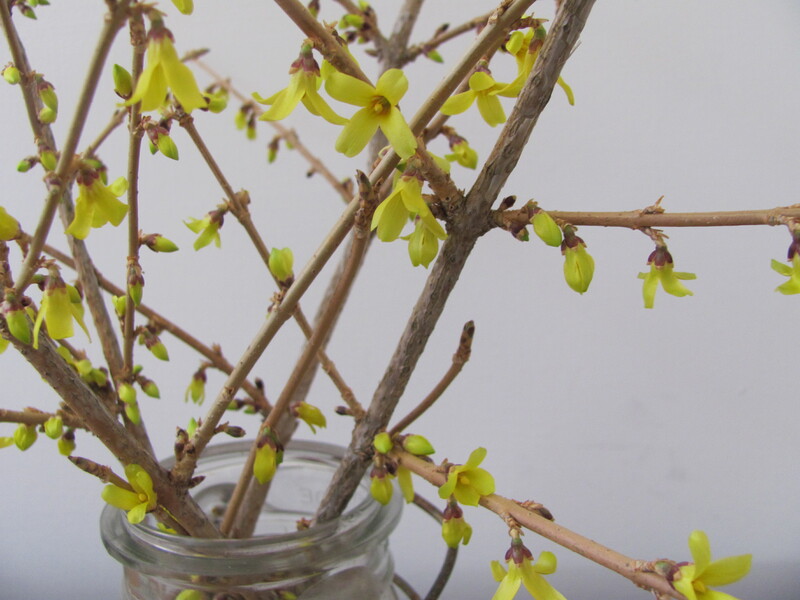 But the sugar sap is running, and inside forsythia branches bloom in a jar. A perfect day to celebrate a new season – the March Equinox. Thanks – and happy Equinox to you. The sap is boiling tonight – hurray!